Thanks for the compliment, KotangaGirl. Wonderful machines you are showing us all, thank you. 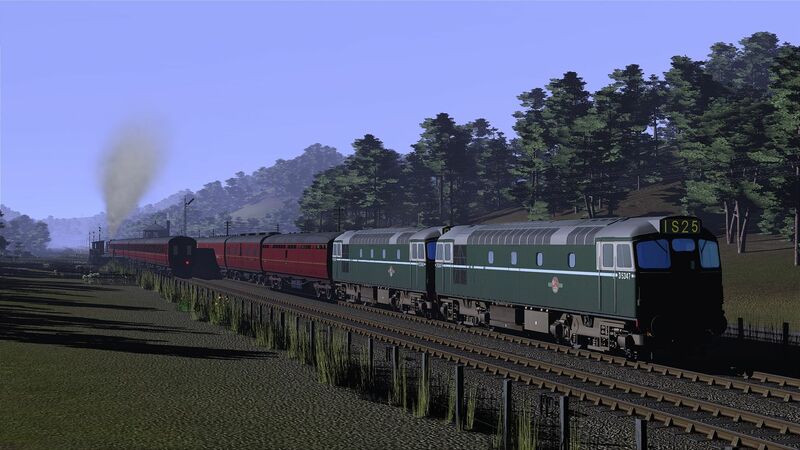 A 'Rover Class' and 'Iron Duke' Class express pass each other in Broad Gauge Days. 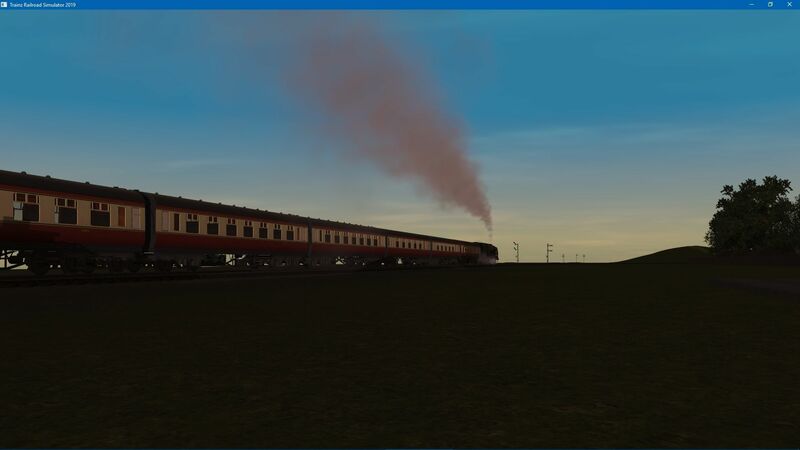 This is(done with replace asset) a Standard to Broad Gauge converted GWR route of Driver_Col's. All good fun SuperSpeed. 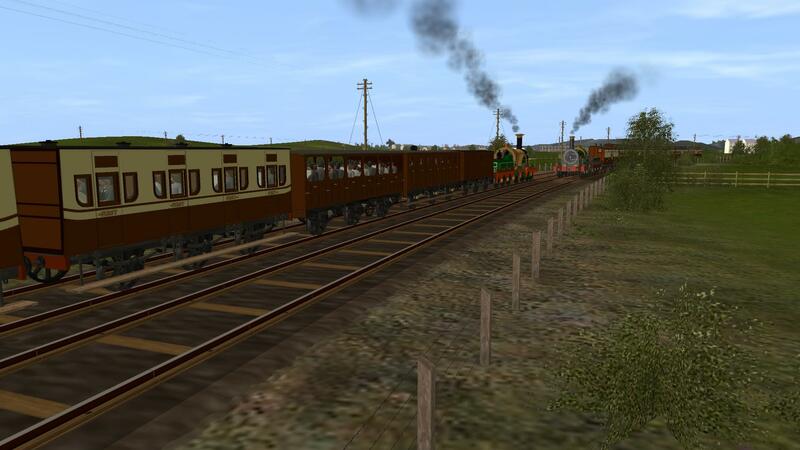 I always enjoy giving the Broad Gauge engines and rolling stock in my digital trainset box a run around too. I'm enjoying it too, although when you look at a Standard Gauge photograph, Standard looks alien.. 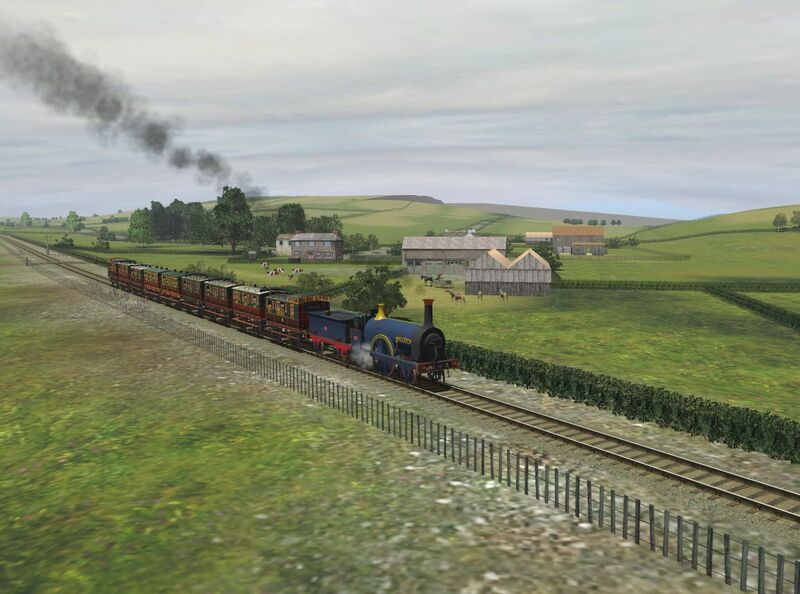 This route is good enough, but replace asset turns it into a GREAT route to take out Broad Gauge. Driver_Col makes good routes. I've modded some his around from time to time. Usually taking them back into the pre-grouping era, but I haven't tried turning one into a Broad Gauge layout yet. You're giving me all kinds of ideas SuperSpeed. 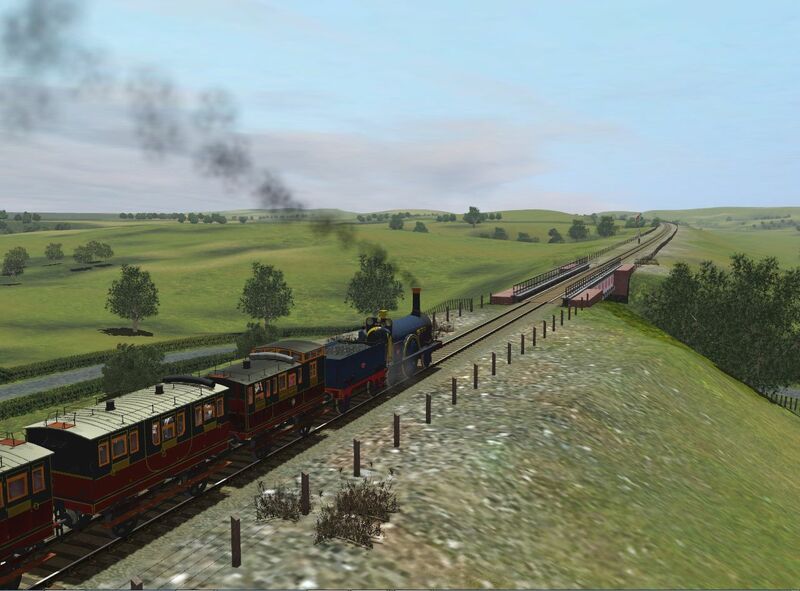 On my standard gauge converted version of the Minehead branch. This is my test track for teaching me how to drive on the advanced steam controls. The gradient gets steadily steeper heading towards Crowcombe Heathfield then drops down to Bishops Lydeard making for quite a driving challenge since the downhill part is equally as steep as the gradients on the other side of the hill. Lots of fun. You're giving me all kinds of ideas SuperSpeed. And I'm getting excited thinking of what you could do next. 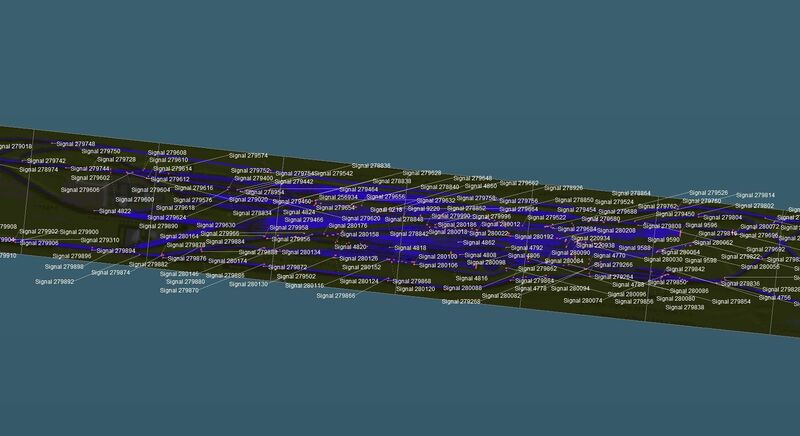 I'm jealous that I'm not as good as you in route creation as your screenshots are pure stunning. Have you got Discord or anything? It would be nice if we could talk there. If you saw some of my early routes from when I started with TS2009 that I've got archived away I'd be really embarrassed. Making good routes and making them look nice is all about practicing with using the surveyor tools and giving things a go. The 'Undo' button is there to use should you mess up. Believe me I mess up often. Because I have narcolepsy I don't do real time chatting on social media. I zone out and microsleep too often to manage social contacts in real time. Slow typing on a keyboard is about my level. 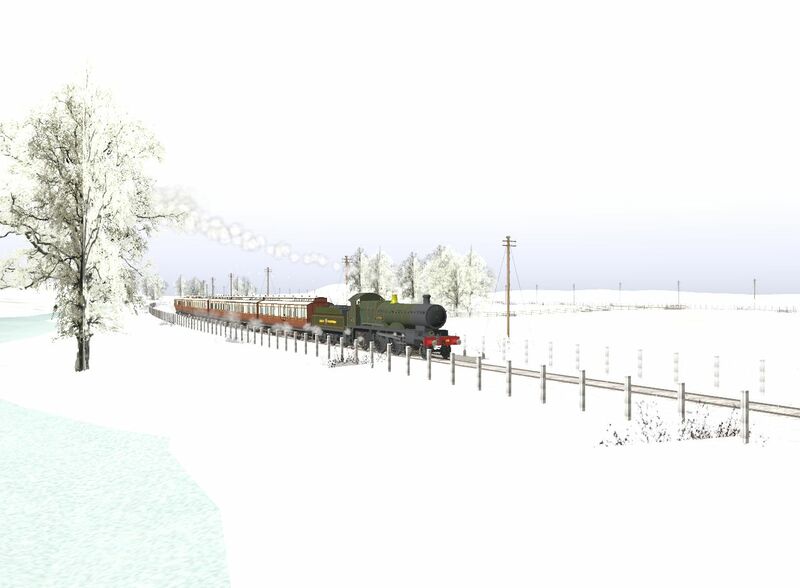 GWR Atlantic 'Ivanhoe' in the snow on Tristyn in Winter. Lovely screenies Annie, I am loving what you keep finding in your filing system and then giving them an outing. 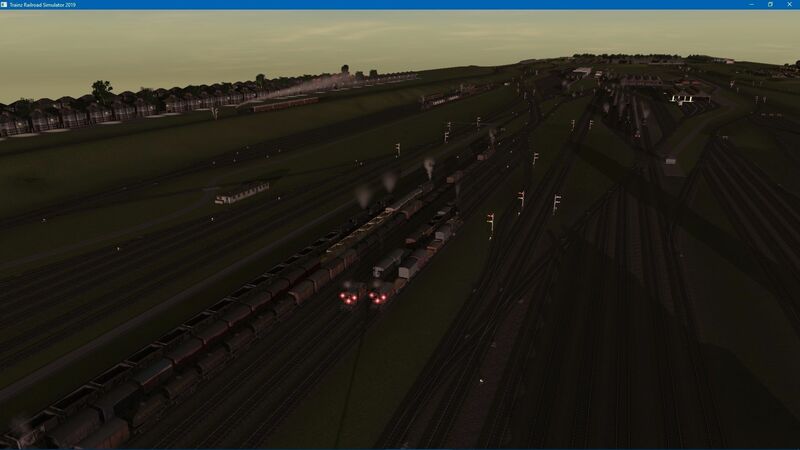 I've been busy converting my Warrenberg model to a Welsh NG model railway, but tonight I went back to somewhere up north in the UK to work on the signalling on my big route again, so here's a couple of screenies from it..
And a BR N2 was let out for some exercise.. I am about half way through installing them. Excellent screenshots Graham. 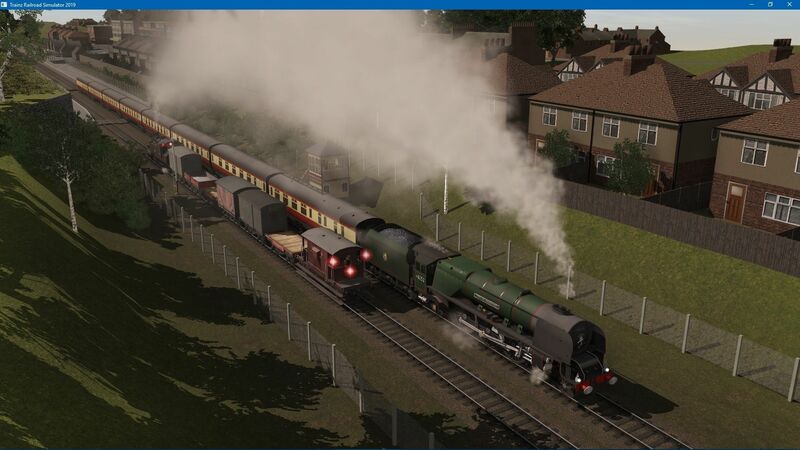 I've certainly found that TS2019 makes older Trainz models look very nice indeed which is why I've been digging about in my digital trainset box lately and bringing my older engines and rolling stock out for a run about. Blazing 'sun-going-into-supernova' lamps on some older models and signals is a bit of a problem though and I'm wondering if there is a fix for that. All those signals! Wow! And you've still got more to install. Rather you than me. Being a very minor railways and light railways enthusiast my layouts are quite sparsely signalled. Great shots. 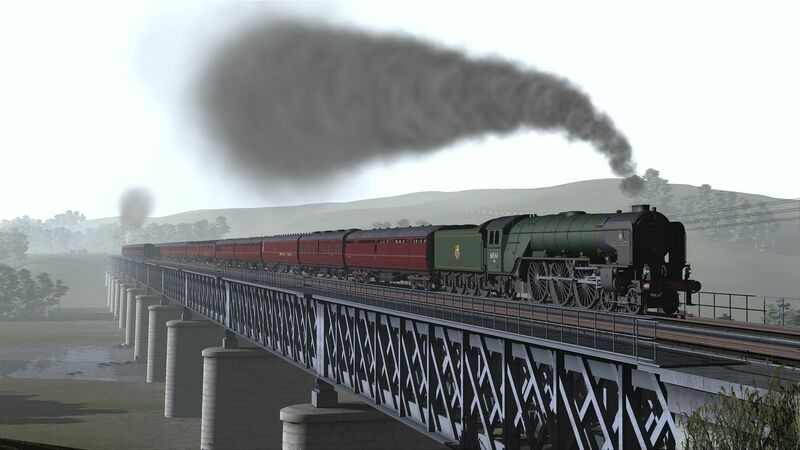 I am travelling so no time for Trainz for the past week or so. I do agree, Annie, that older models that I'd put back in their boxes have now become very acceptable in TRS19 whereas in TANE (or older versions) the paintwork looked like floodlit primary colours without any shading, but now they are acceptable to use, most of mine are old German coaches and locos. Now that I have been making UK routes I will search out some UK antiques to play with. 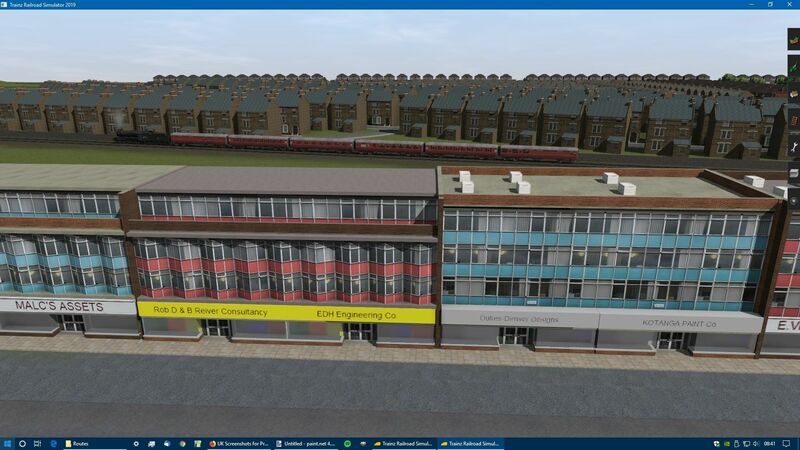 Most of my continental work is in TANE and I have stopped my 'production line' until the new TANE update is released, I can then complete the routes and models and put them on the DLS. 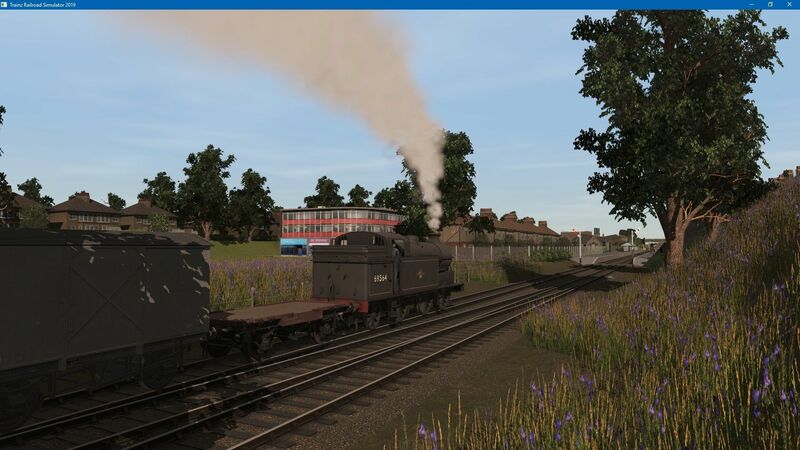 My TRS19 UK production line is now gaining momentum, I have one UK route that is 95% complete and another that is 75% complete (thanks to Vern for the inspiration), so my first British release is 'imminent'. I am fortunate that I can work many hours a day on my virtual hobby without distraction also I am very lucky to have this forum and its members for help and inspiration when things get stale or when problems arise. I hope that I can also inspire others along the way. Graham, thanks for the "cheeky shot", most appreciated. aKP Somewhere ScR (a WIP). 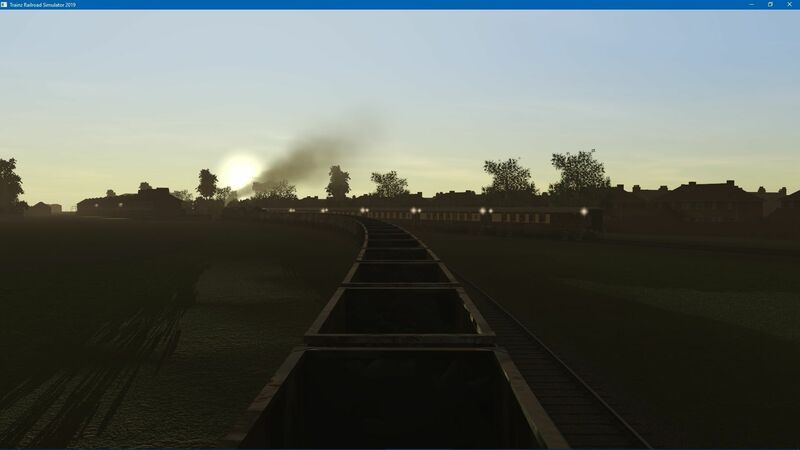 A BR Duchess at dusk. 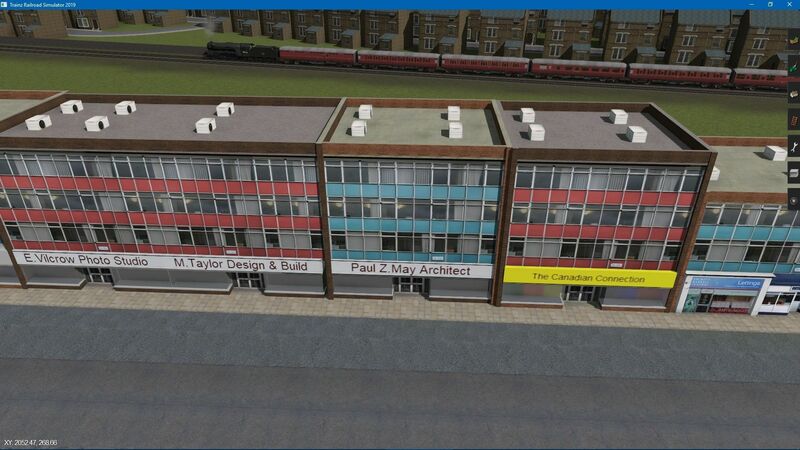 Last edited by euromodeller; April 22nd, 2019 at 01:45 AM. Reason: Corrected spelling error.